Prior to the Athletics moving to Oakland in 1968, they were in Kansas City for a dozen seasons, and before that they called Philadelphia home for more than fifty years. It was during their first incarnation that a trio of Eddies starred for the team; Eddie Plank, Eddie Collins and Eddie Rommel. 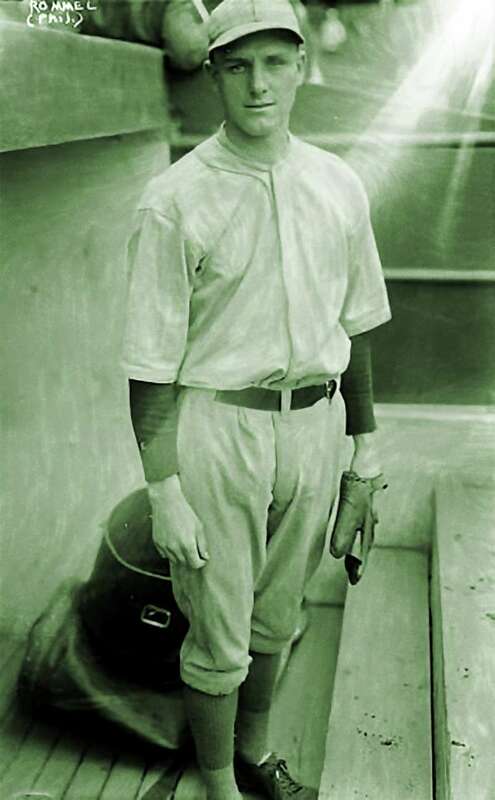 Plank, who pitched for the Philadelphia Athletics from 1901-14, led the team to three World Series titles, and edges out outfielder Rickey Henderson as the franchise’s all-time leader in wins above replacement (WAR). 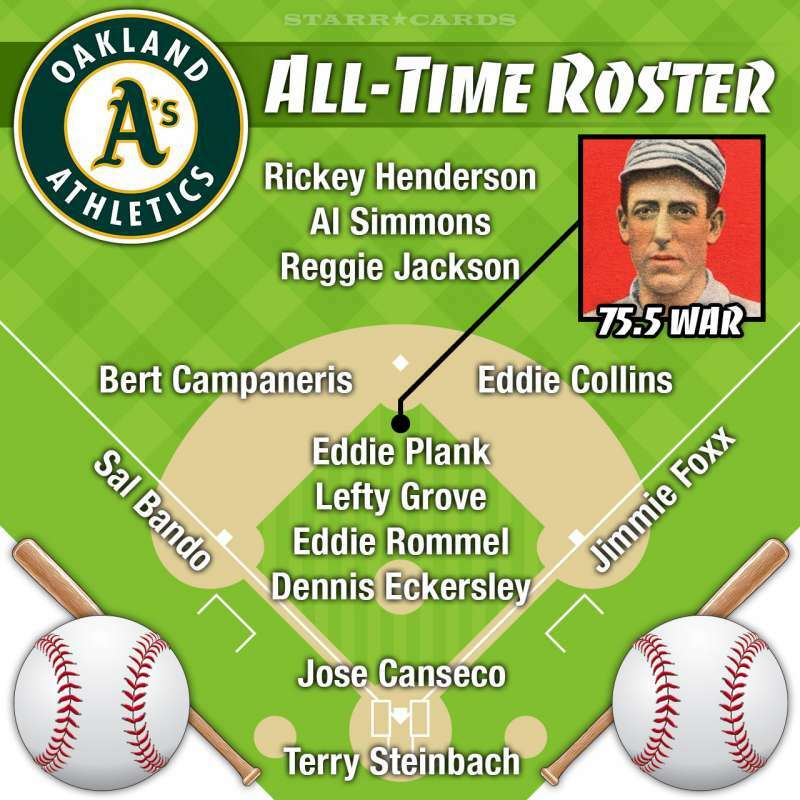 Following Plank and Henderson, the other players to have made the biggest contributions to the all-time roster by WAR, are pitcher Left Grove (63.7), first baseman Jimmie Foxx (62.5), and second baseman Collins (57.3).